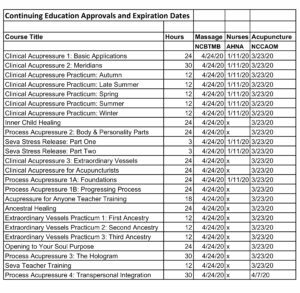 Massage Therapists (NCBTMB) courses approved for continuing education hours by the National Certification Board for Therapeutic Massage and Bodywork (NCBTMB). Soul Lightening International’s approved provider number is 450354-07. 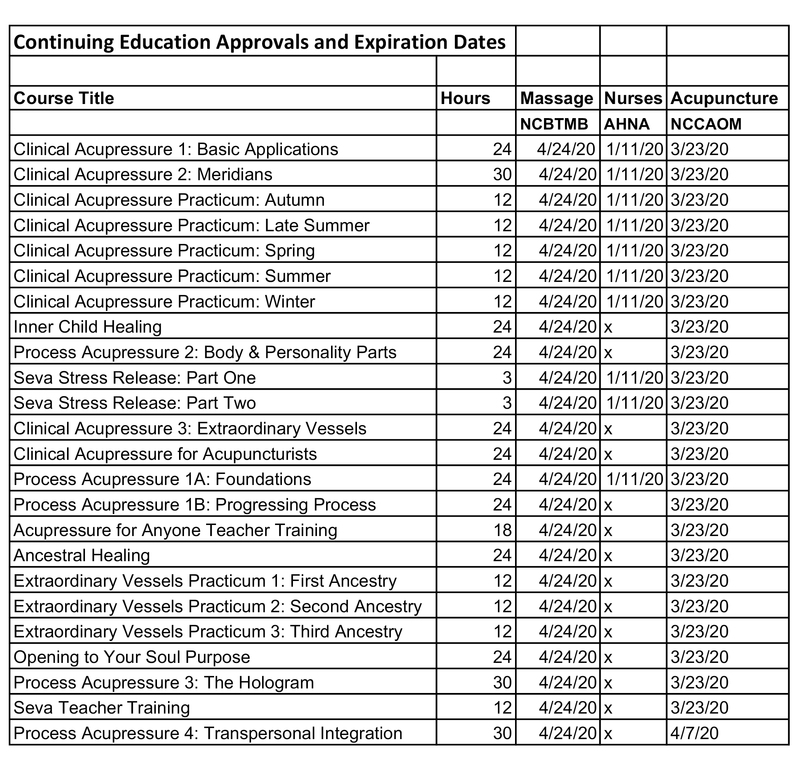 Acupuncturists and Asian Body Work Therapists (NCCAOM) courses approved for continuing education hours by the National Certification Commision for Acupuncture and Oriental Medicine. Soul Lightening International’s approved provider number is 714. Nurses (AHNA) The Clinical Acupressure Certification offered by Soul Lightening International is an official endorsed program by the American Holistic Nurses Association. (AHNA) is based on an assessment of the educational merit of this program and does not constitute endorsement of the use of any specific modality in the care of clients. Not all disciplines are covered in all states though we continue to add more as we have time.